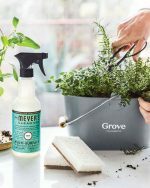 FREE Mrs. Meyer's Orange Clove, Peppermint, & Pine Holiday Cleaning Products! 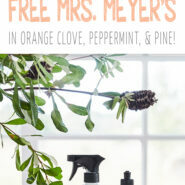 Home > Cleaning > Cleaning Tips > FREE Mrs. Meyer’s Orange Clove, Peppermint, & Pine Holiday Cleaning Products! 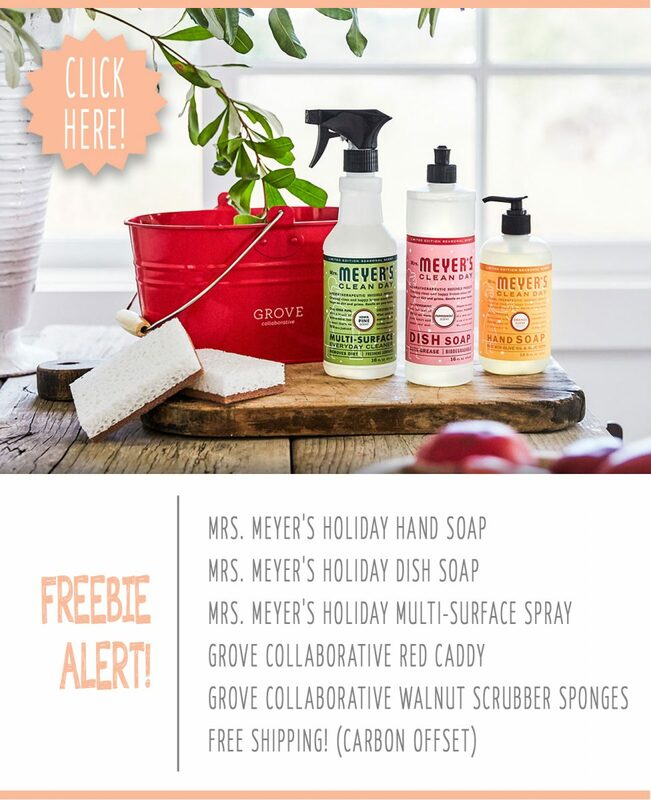 Everything you need to know about Grove Collaborative AND how to get FREE Mrs. Meyer’s cleaning products in holiday scents and a cute red caddy with your first order! The holiday season is here! It’s that most wonderful, magical, slightly stress-inducing time of year where your calendar is full to bursting with family, friends, parties, and get-togethers. 🙂 Luckily Mrs. Meyer’s holiday scents collection is now available, and what better way to relax and instantly put yourself in the holiday spirit than the scents of peppermint, orange clove, and Iowa pine! 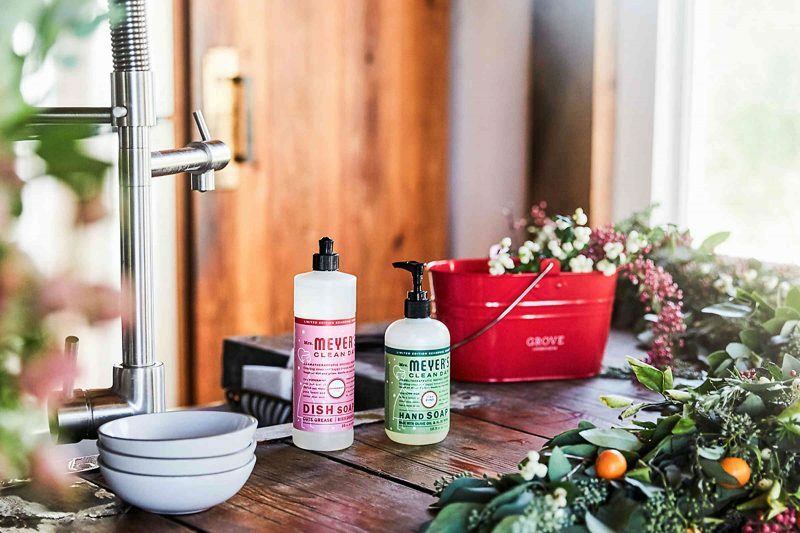 If you want to prep for the holidays while relaxing with some amazing holiday scents, your timing is perfect because Grove Collaborative is giving away free Mrs. Meyer’s cleaning products in orange clove, peppermint, or Iowa pine and a free red cleaning caddy this week only! Anyone who wants to can start their own collection of great-smelling, super awesome cleaning products in their home by clicking here! 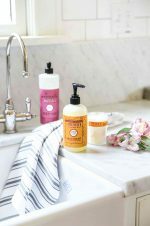 FREE Mrs. Meyer’s Holiday Scents Kit! 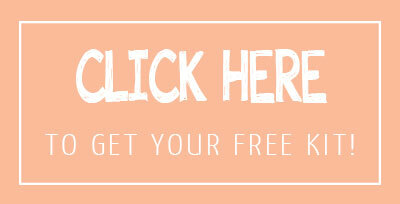 Free Shipping & 60 Day VIP Trial! I started using Mrs. Meyer’s products a few years ago and have been hooked ever since. They’re made with plant-derived ingredients and essential oils, in scents inspired by a backyard garden. They are natural and gentle, but pack a serious punch when it comes to dirt and grime! Plus they smell AMAZING! I use the gorgeous, multi-functional enamel caddy for corralling extra products until we’re ready to use them. (It’s also a stylish way to round up cleaning products, gardening tools, or the kids’ summer art supplies!) And for the holidays, Grove is offering a special red cleaning caddy this year! Another way I make sure I never run out of my favorite products is by using Grove Collaborative. Grove delivers the best natural products right to my doorstep, on my schedule. I get a monthly shipment but I can change up the products in it every month, move the shipment date to later or earlier, or even cancel it all together if I don’t need anything that month! 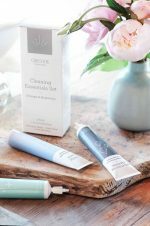 You’ll get all these products for $21.88 plus free shipping when you place your first order from Grove Collaborative! And when you sign up for Grove right now, you’ll also get a free 60 day VIP trial. For 60 days, you’ll save even more with free shipping, free gifts, price matching, exclusive sales, and personal service. Get your free Mrs. Meyer’s holiday scents kit with your first $20 purchase by clicking here. Or, with a $39 purchase you get all that plus a Grove Collaborative stoneware tray! Already a Grove Collaborative customer? No worries, you know they always have a great deal! 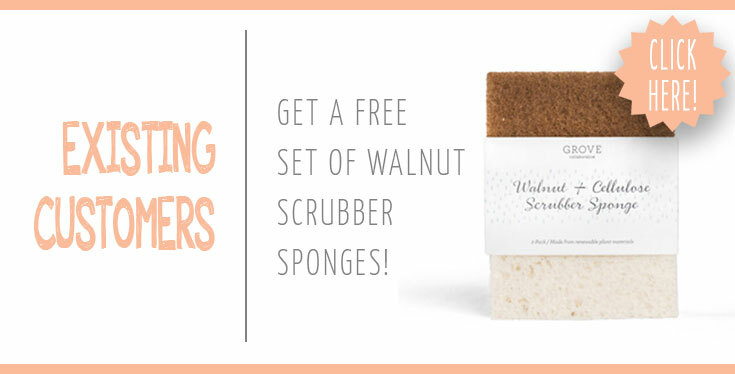 You can get a free set of walnut scrubber sponges by clicking here! So, how do I get my free Mrs. Meyer’s Holiday Scents Kit? 1. Click here to visit Grove Collaborative and get the free holiday set + free shipping + a 60 day free VIP trial. 3. Finalize your cart. If you want to go with the suggested products, go for it! If you want to change stuff around, you can do that too! Just make sure you have at least $20 worth of stuff in your cart in order to get the free Mrs. Meyer’s holiday scents kit at checkout. 4. Check out and place your order! Your free holiday scents kit will be added to your order, and your products will arrive in a few days! This awesome deal ends Tuesday night, November 6. Supplies are limited, and this is always a super popular deal, so make sure you grab it before time runs out or before it sells out!